Next day, we headed up the Silverado Trail and stopped at Pine Ridge. Tasting 5 wines was $40! Really good stuff, but a bit out of my price range. We tasted one wine that was $110 a bottle. 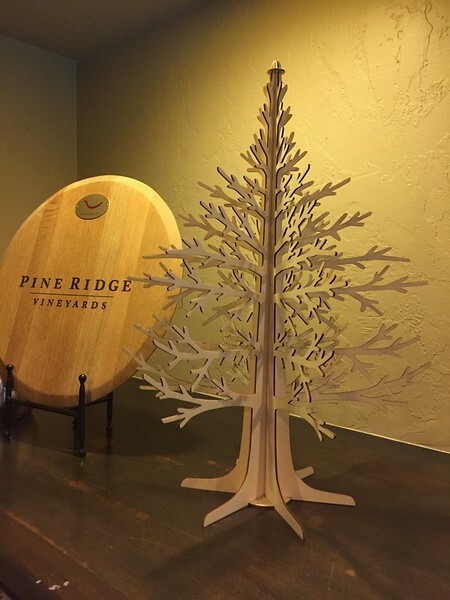 They had these little laser cut trees in the store.